Van Vliet Bears - Who am I ? My name is Marrie van Vliet-Moret, happily married for years to Willem. I have a wonderful daughter, son in law, 3 grand daughters. I have lived my whole life in Capelle aan den IJssel, on the outskirts of Rotterdam, in the Netherlands. 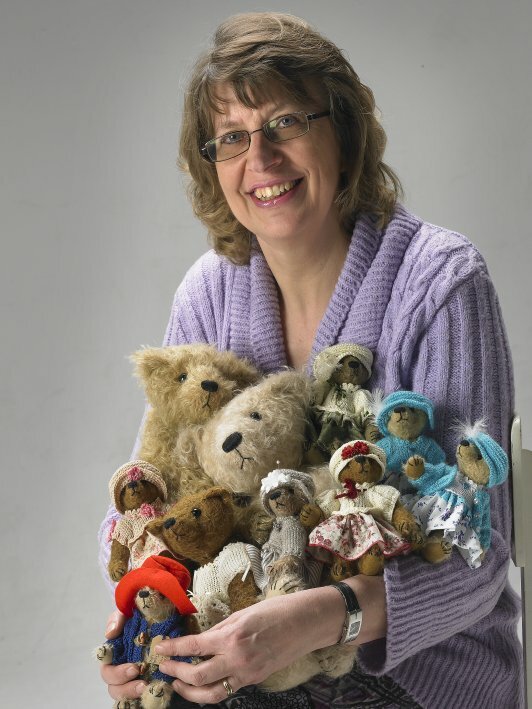 The last couple of years I have been making Teddy Bears, lots of Teddy Bears! Sizes ranging from 5 to 50 centimeter's. Now I know what an addiction is, you wake up thinking about Teddy Bears and finally fall asleep thinking of Teddy Bears. Even when I go on vacation, I pack my Teddy Bear suitcase with all my Teddy Bear stuff. I just can't help it. I'll end up making a Teddy Bear just outside our camper. What do I like the most? To meet people at trade show's that are also infected with the Teddy Bear virus. Seeing that I would like to share my love for Teddy Bears, I have organized several Teddy Bear courses. Hopefully with these courses I will be able to introduce you to this fantastic hobby (please see courses for further information).